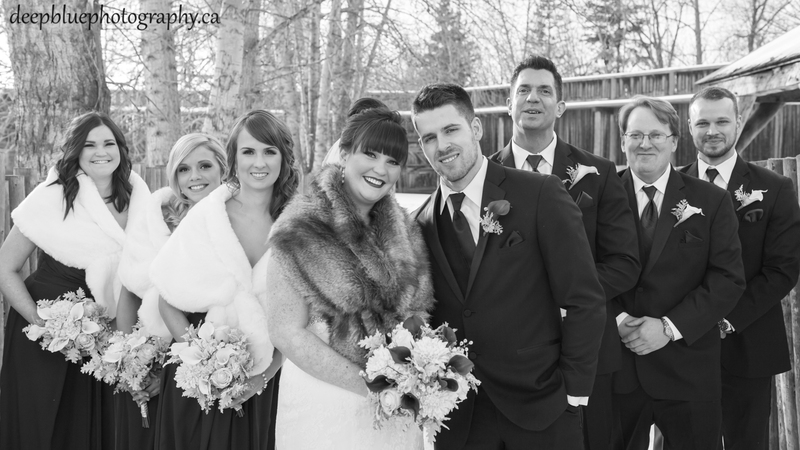 Sarah and David held their intimate winter wedding Fort Edmonton Park. 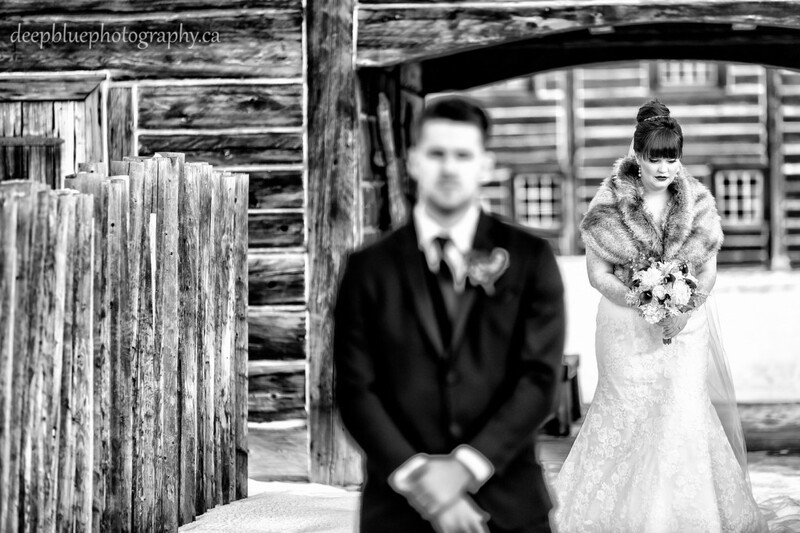 It is a beautiful historic site nestled in the heart of the Edmonton river valley, the perfect location for a cozy wedding. 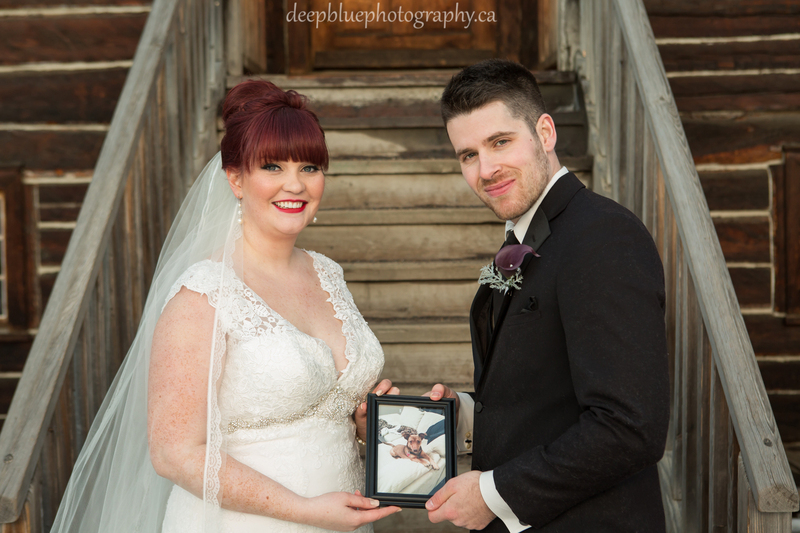 Sarah and David’s story begins one lovely evening at their favourite place the Terwilliger Dog Park with their dog Merry. 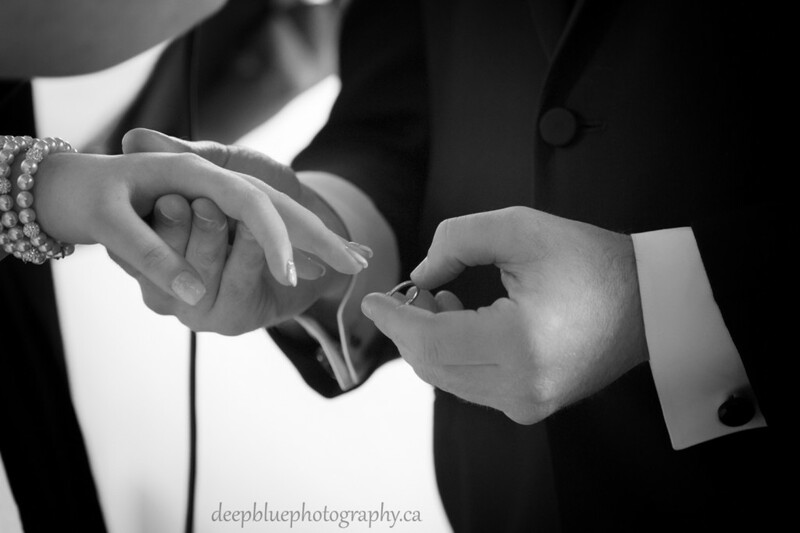 It was here that David went down on one knee and asked his beautiful Sarah to be his wife. 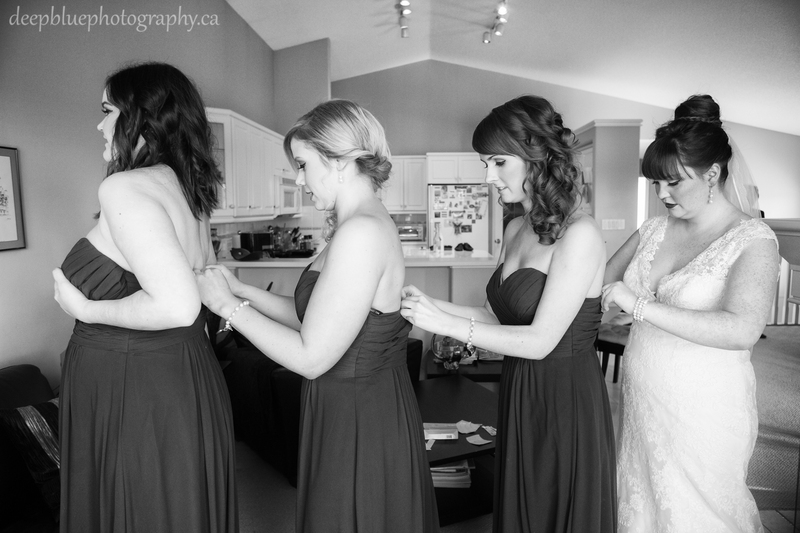 Breaking tradition Sarah and David decided to do a private first-look before their ceremony. 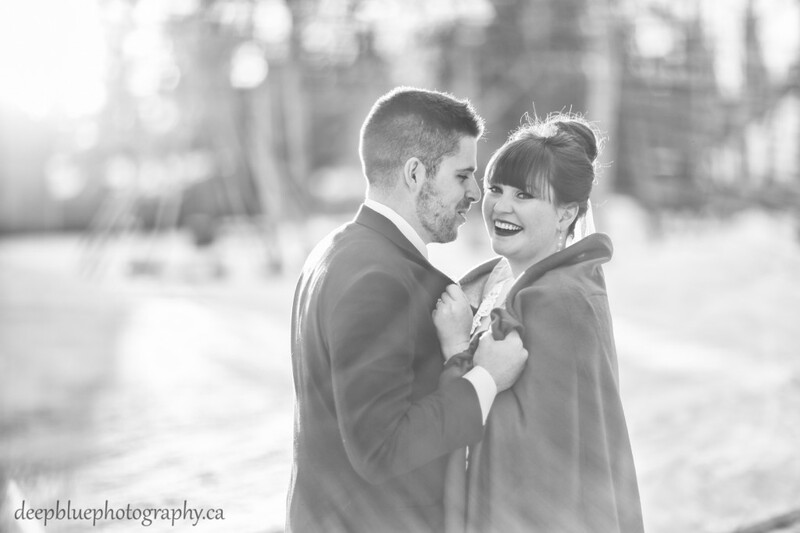 They met on a snowy pathway in the heart of the historic Fort. 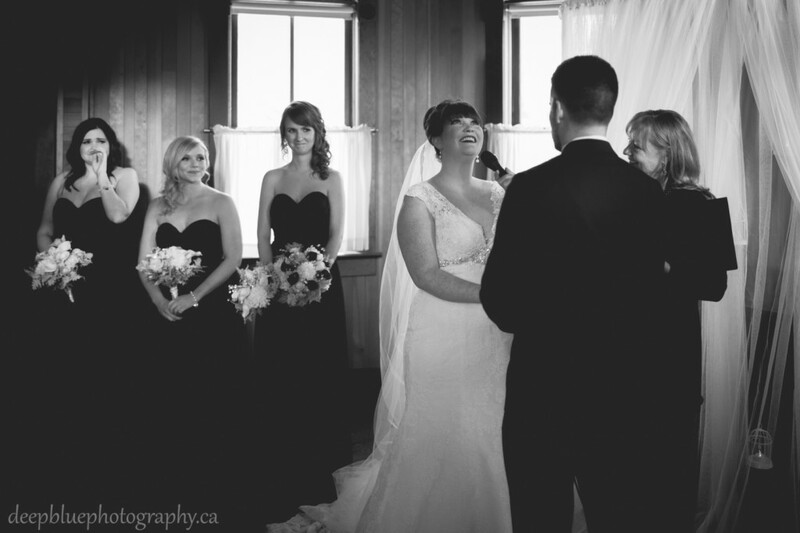 The first look gave Sarah and David a chance to get their nerves out before the ceremony and to spend the day together in each others company. 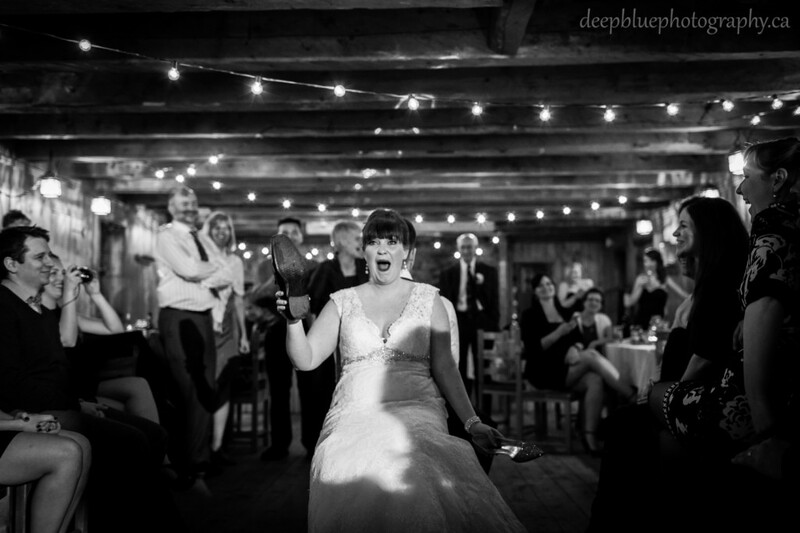 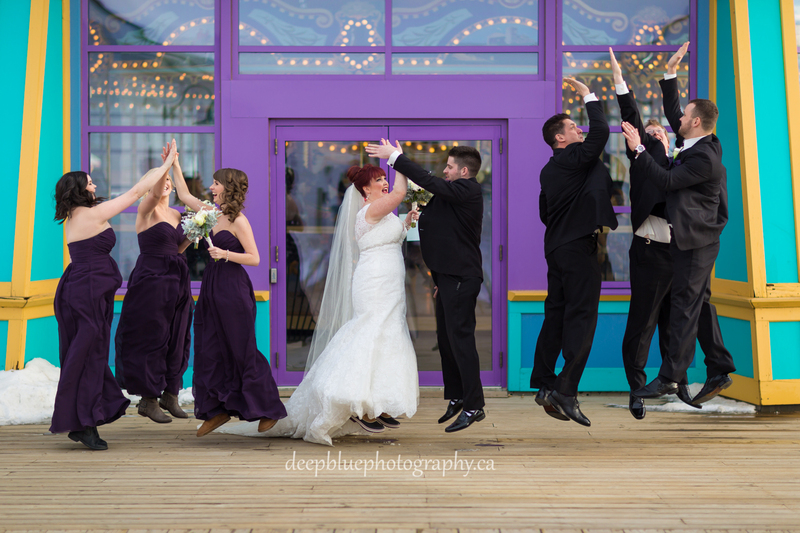 Their few moments of sweet romance were quickly overrun by their excited (and extremely energetic) wedding party. 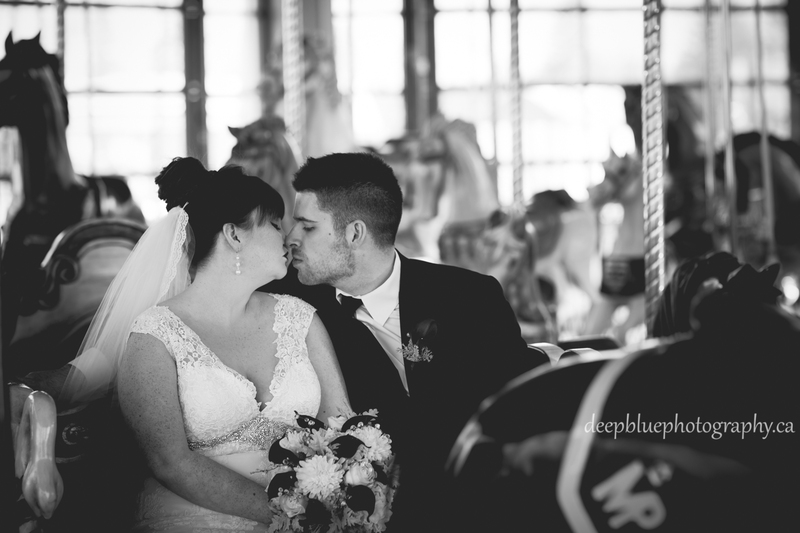 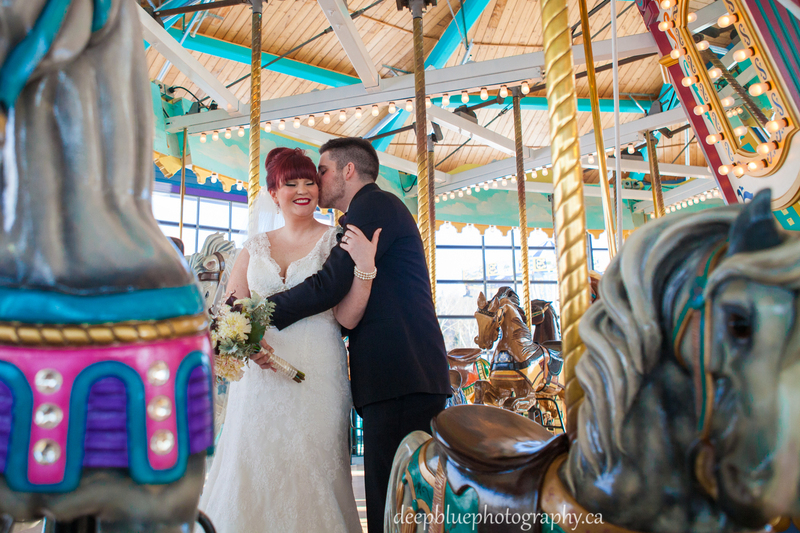 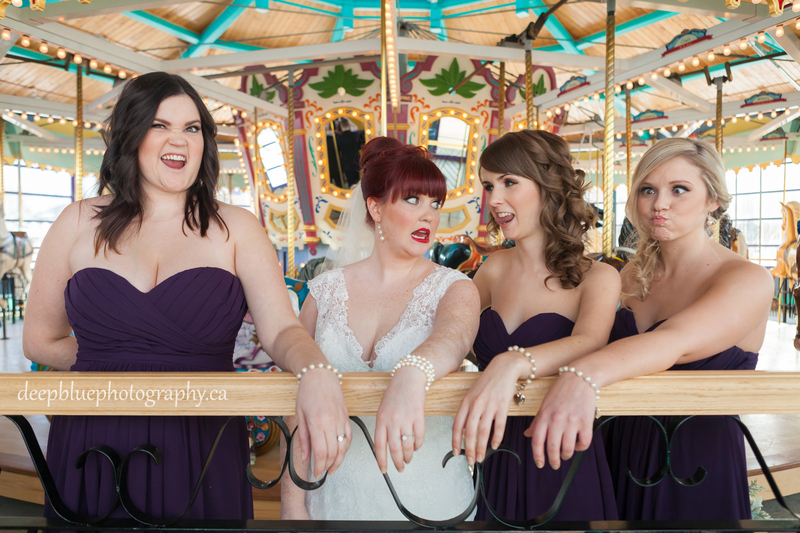 Wedding portraits were taken in the Fort Edmonton Carousel and along the historic streets. 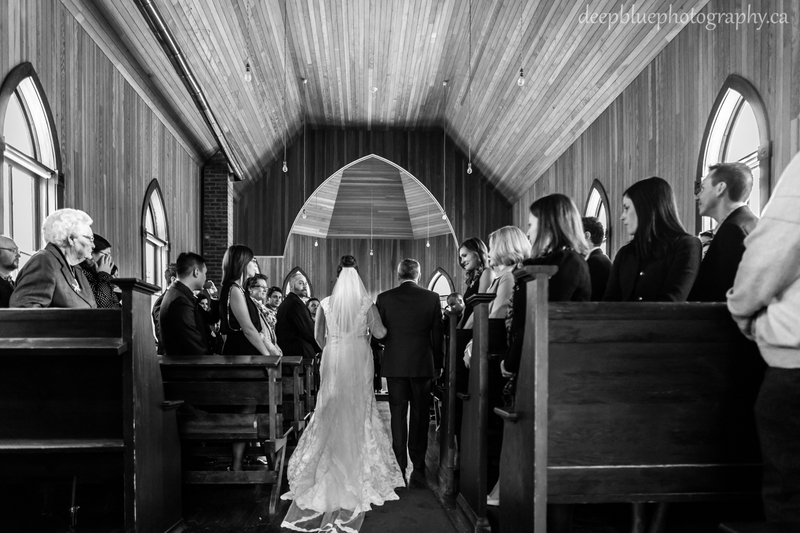 As the sun began to set, guests gathered themselves at St. Michael’s Church to witness the wedding ceremony. 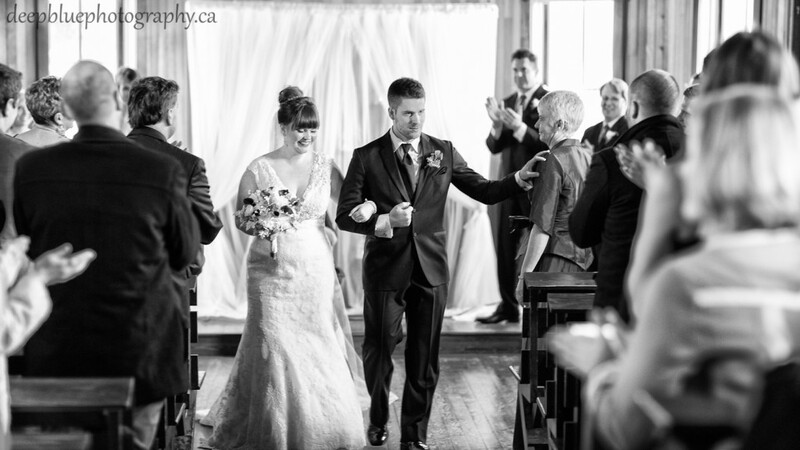 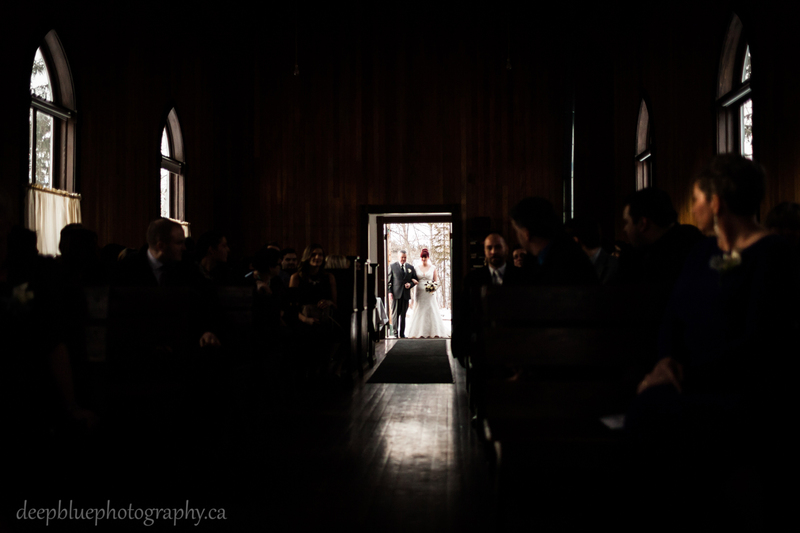 The ceremony was held at St. Michael’s Church, a perfectly preserved historic church in the heart of Fort Edmonton Park. 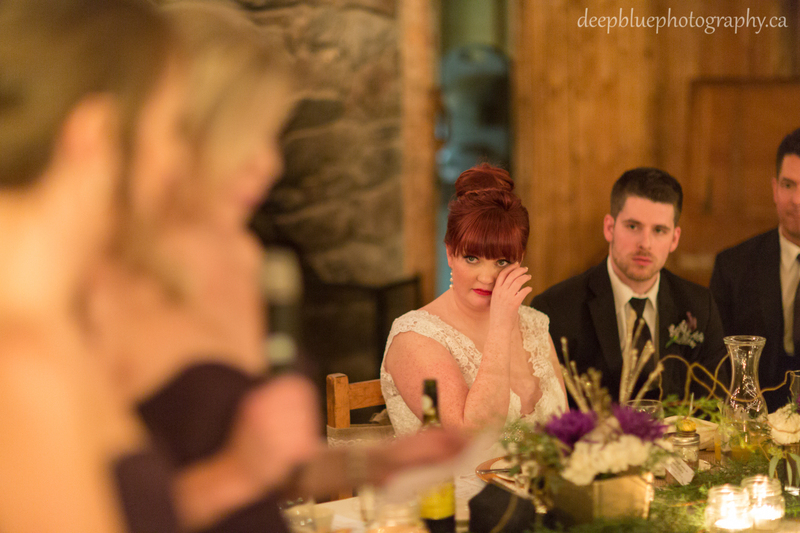 The ceremony was full of laughter, tears, and joy. Following the ceremony guests were invited to snuggle under fleecy blankets and sip hot chocolate as horse drawn sleighs whisked them away to the reception. 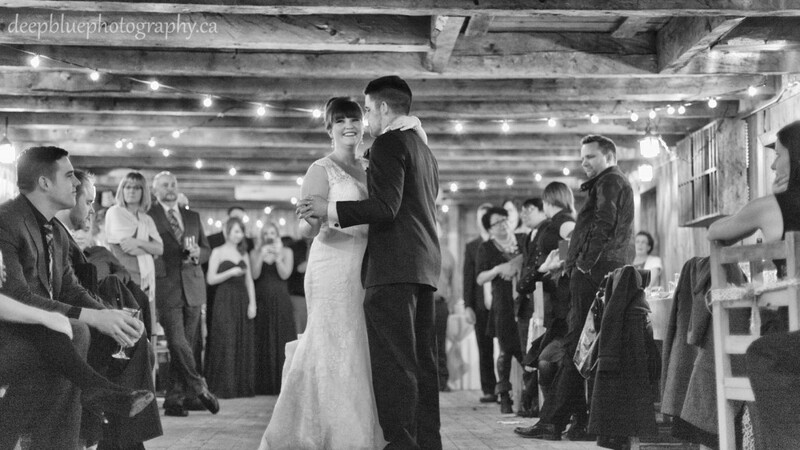 The reception was held in the cozy Clerks Quarters, beautifully lit by lanterns and a roaring fire. 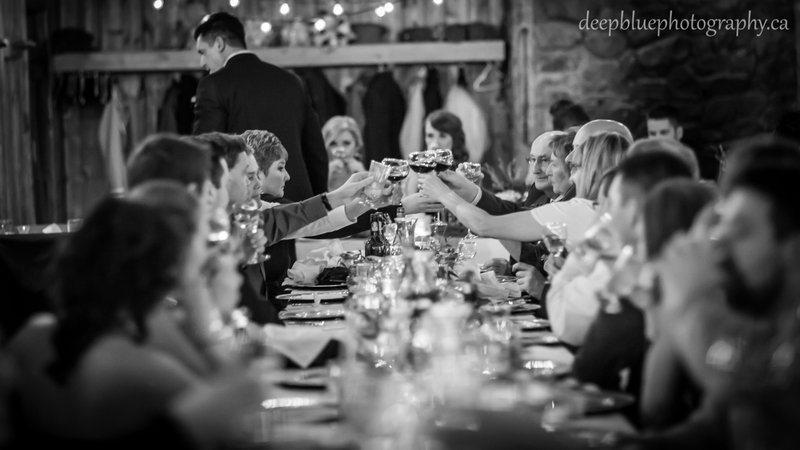 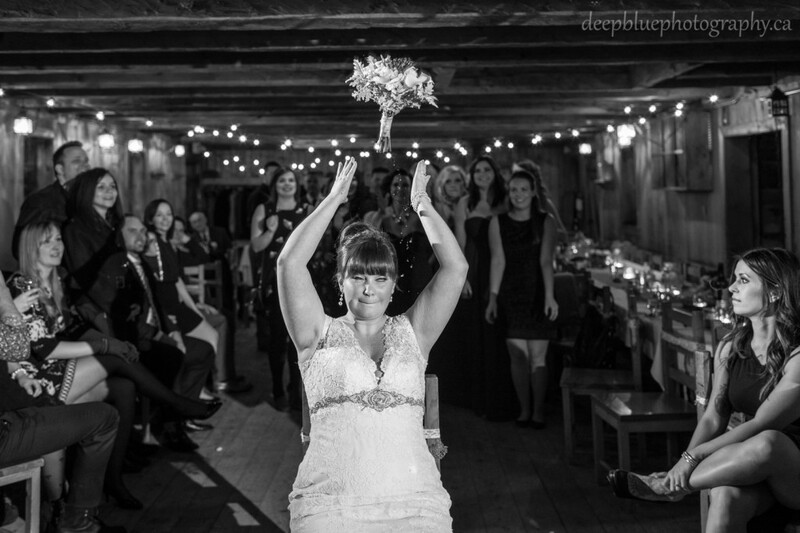 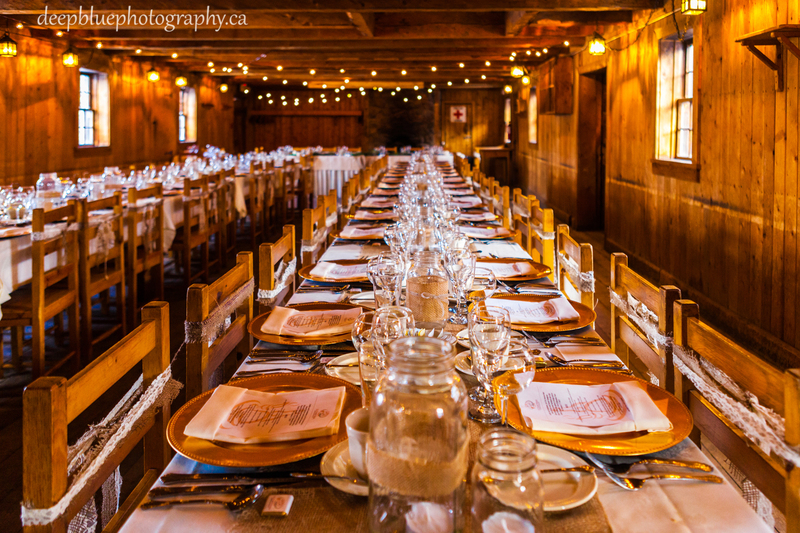 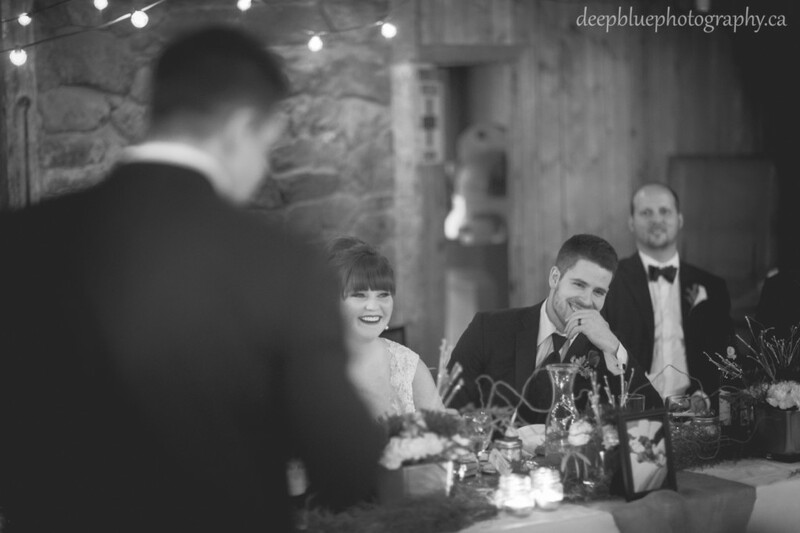 It was the perfect setting for a romantic winter wedding in a log cabin. 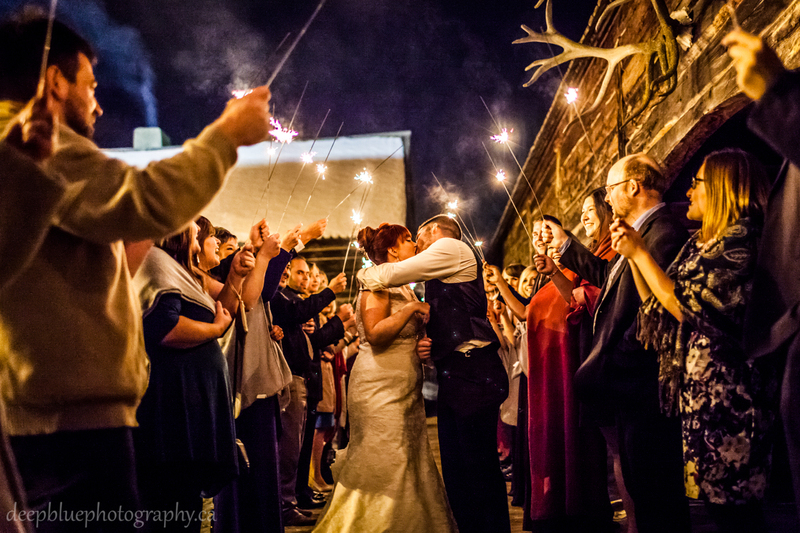 The soft glow of the lanterns and crackle of the fire helped stave off of the cold winters night. 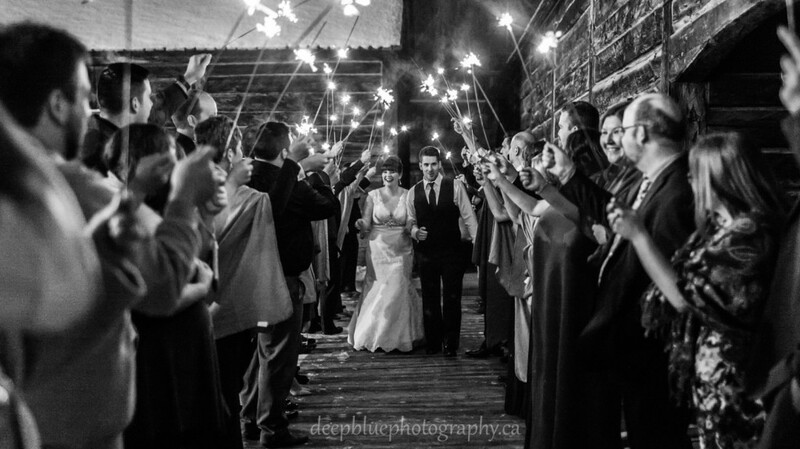 To end the evening, guests braved the snow to give Sarah and David a midnight sparkler send off! 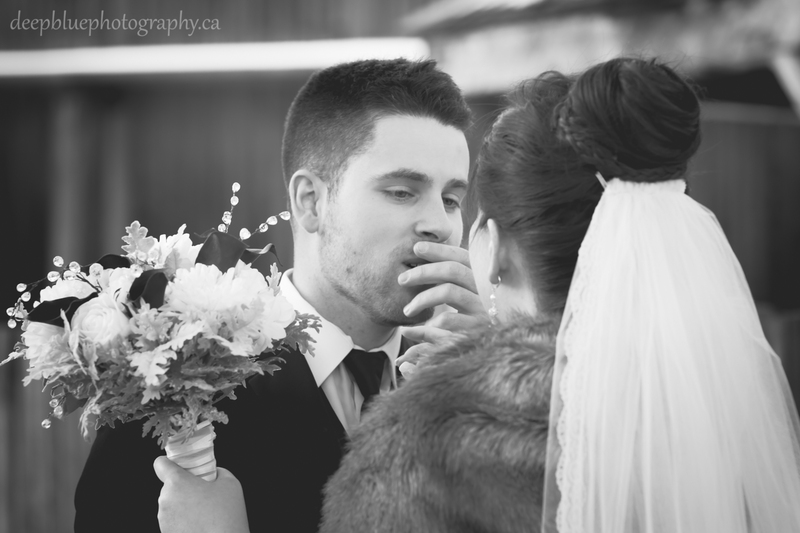 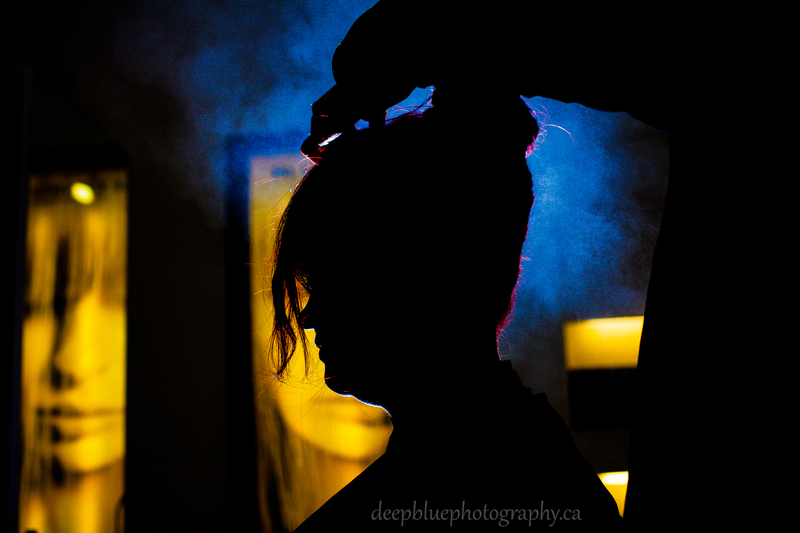 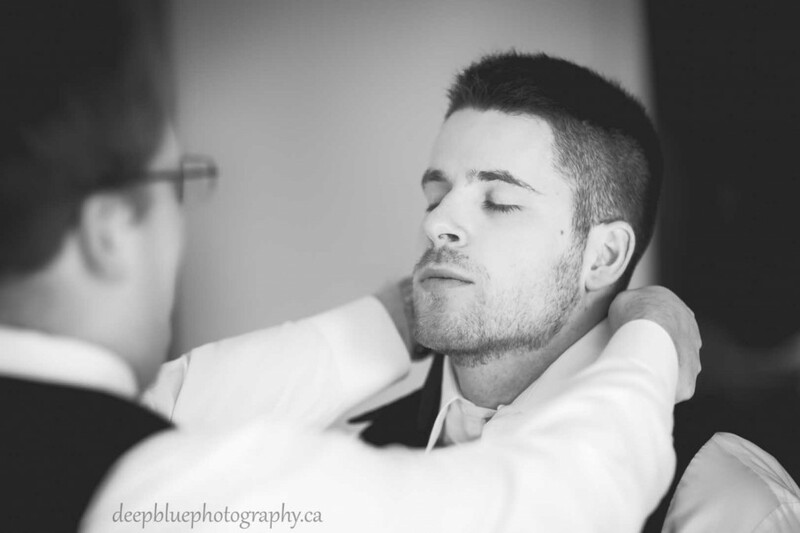 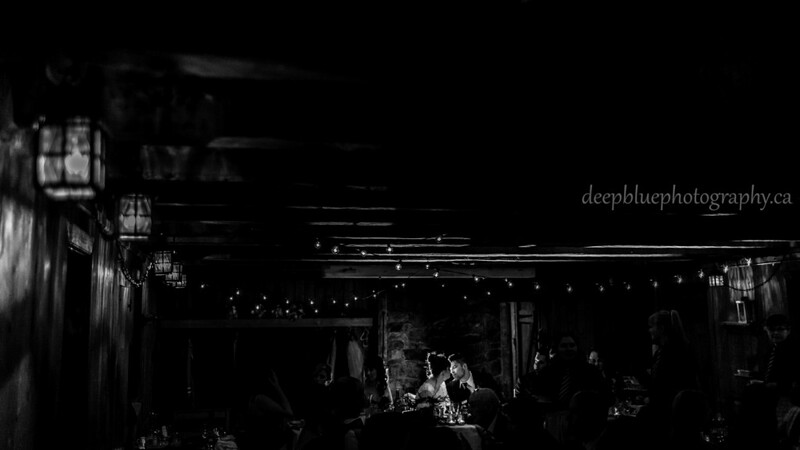 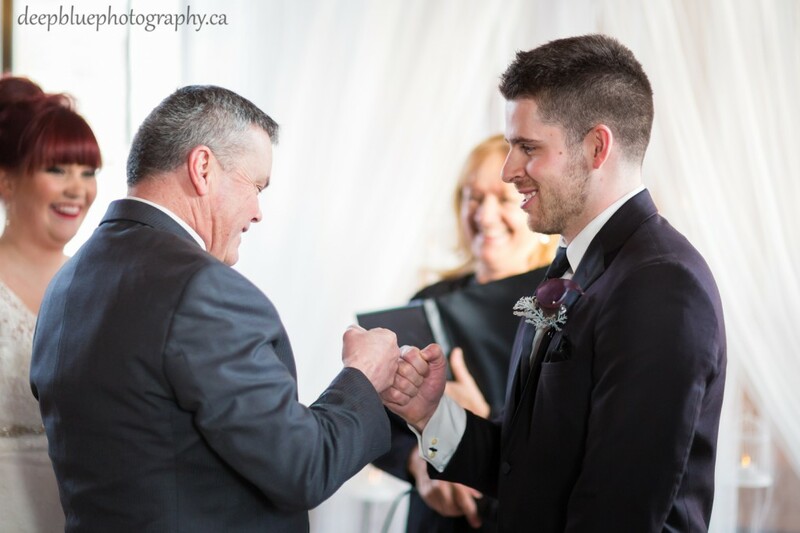 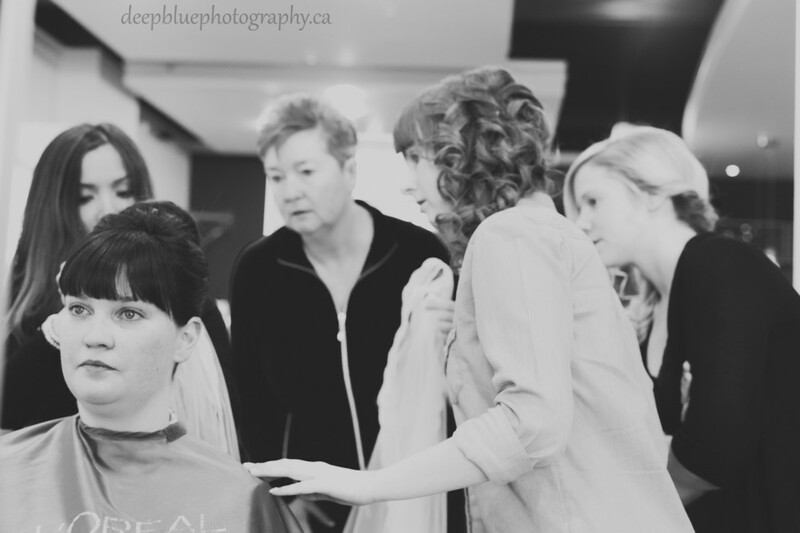 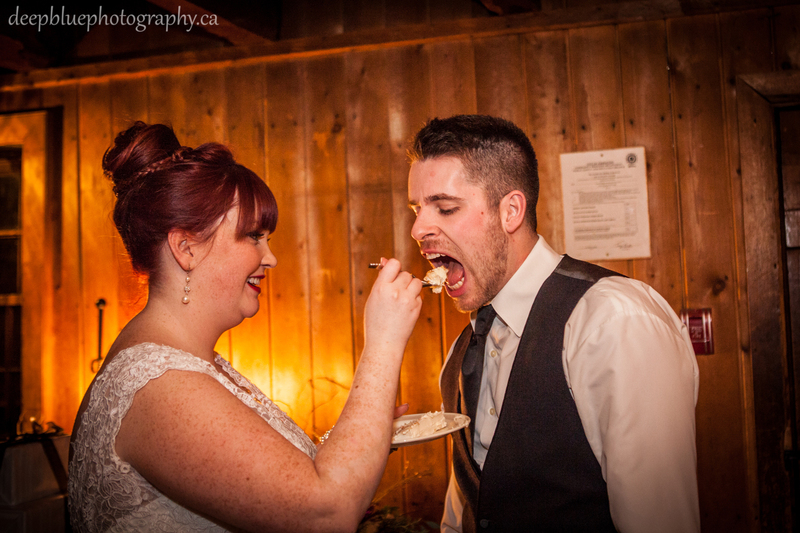 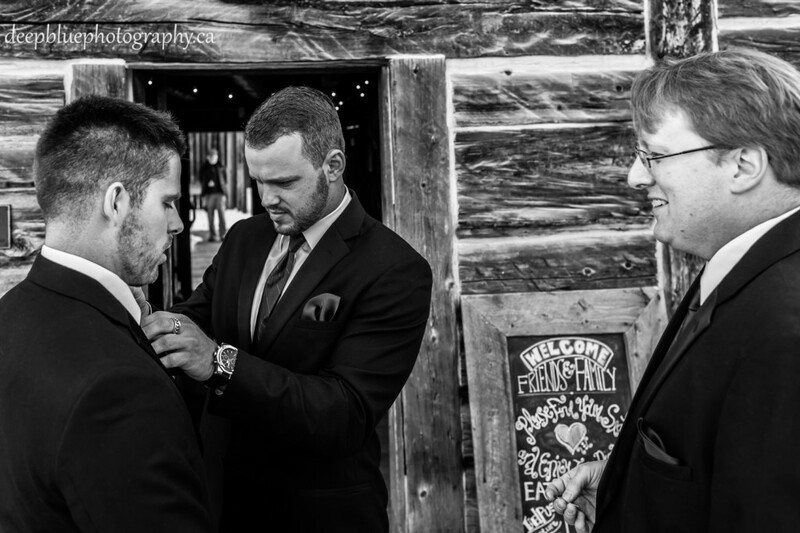 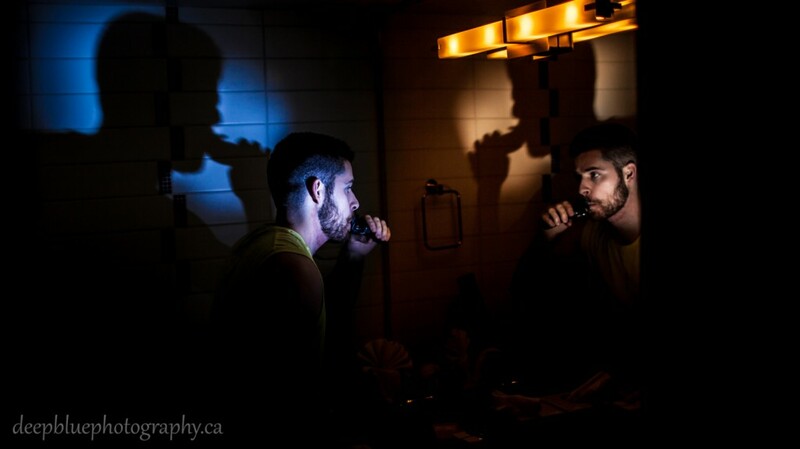 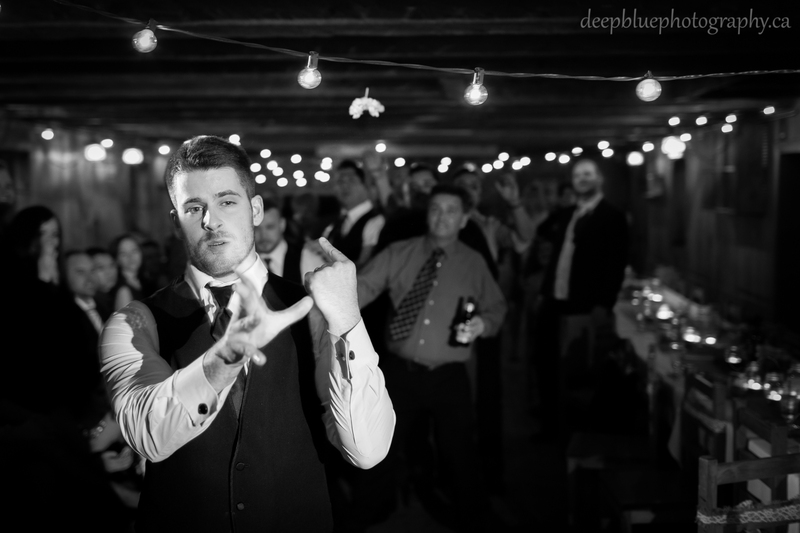 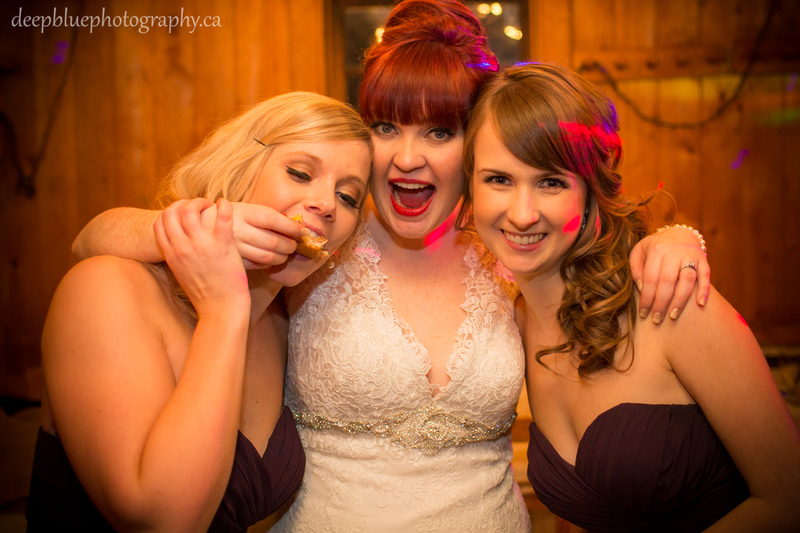 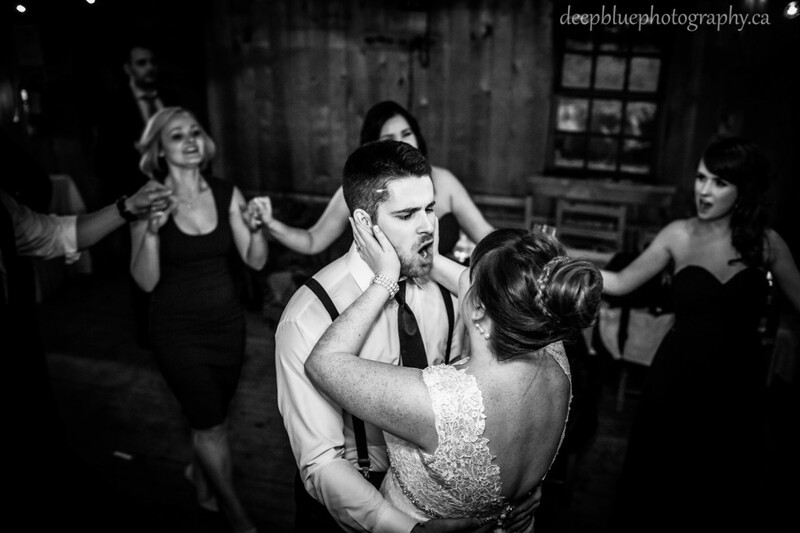 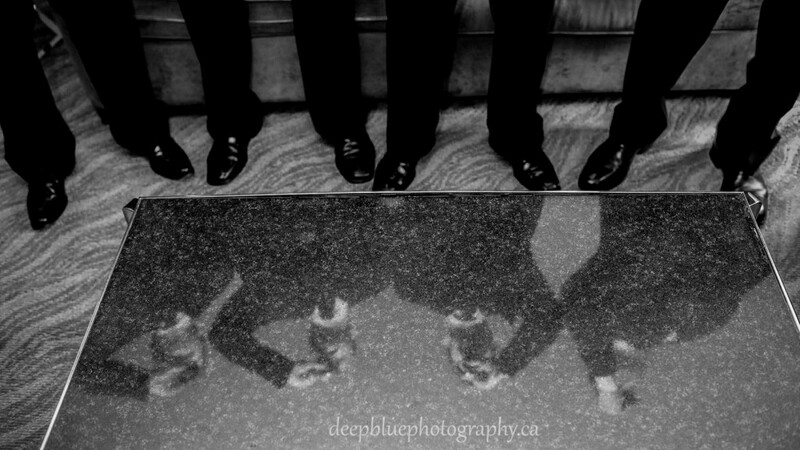 Thank you for inviting Deep Blue Photography to capture your stunning winter wedding Fort Edmonton Park.